What does a Peace Corps Volunteer do? Your Primary Duties: Volunteers in our Community Health and Economic Development Program work as staff members in a variety of host organizations in Uganda. Uganda's Ministry of Health, and local and international organizations request Volunteers to assist them with developing and implementing programs with the goals of improving overall levels of community health and economic development, preventing HIV/AIDS among adults and youth, caring for orphans and vulnerable children, and supporting people living with AIDS, their families, and their caregivers. As an Agricultural Extension Volunteer it is important for you to know that more than 80% of Ugandans depend on subsistence agriculture for livelihood. Oftentimes, secondary projects are among the most fulfilling to Volunteers. Such projects may include working with a local women's group to improve their health practices; teaching adults basic computer skills; teaching English or basic reading and writing to low-literacy adults in your community; setting up girls' empowerment or sports camps with students in local schools, to name a few such possible secondary activities. Hopefully that gives you some insight into what I'll be doing! Peace Corps just sent me even more info on the first few months of training, what to bring, what to expect, etc., so I'll relay more soon! As for now, starting to pack and square away what feels like the last details. I just filled out a homestay questionnaire... it's almost here! As many of you have probably heard, there were two terrorist bombings last night in Kampala, the capitol city of Uganda, which killed upwards of 64 people who were gathered to watch the World Cup finals. The attack was carried out by Al-Shabaab, a Somalian terrorist group with links to Al-Qaeda. Somalia is a country with no functioning government, and as such, the African Union has sent peacekeeping forces there, a number of which are from the Ugandan Army. Al-Shabaab, which "controls" much of Somalia, does not appreciate Uganda's presence, and supposedly this is why the attack was conducted. The African Union summit will also be taking place in Kampala next week, so this could be why Al-Shabaab chose to carry out these attacks now - to make a statement and try to shine negative light on Uganda during this important time. While at first I was concerned about the safety of traveling to Uganda at this time, and whether we would even be departing for training, I have since been reassured my numerous sources. This is an isolated incident, and Kampala is considered to be one of the safest capitol cities in Africa. 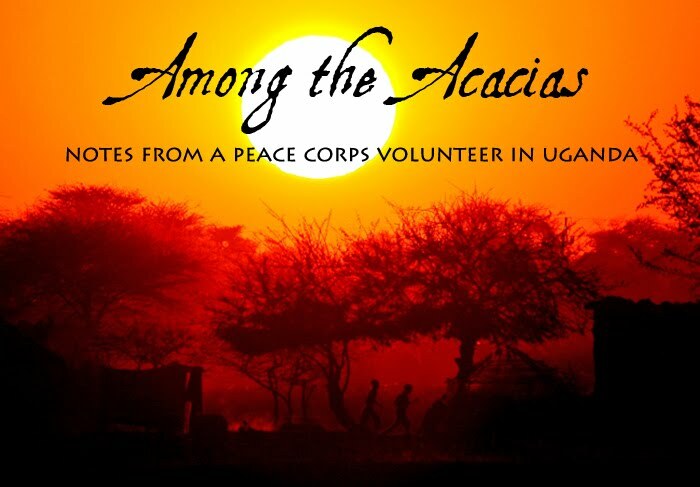 All 120 Peace Corps Volunteers currently serving in Uganda are fine and have been told not to leave their sites (most of which are pretty far from Kampala) until further notice. One of my fellow trainees called the Peace Corps headquarters and was told that this will not affect our departure, and we will leave as planned. I trust Peace Corps' decision, especially with the knowledge that they are usually quick to pull volunteers out of volatile situations, such as political violence in Kenya and Madagascar in recent years. During my service, I will never be stationed in Kampala - the closest is during the first few months for training when we will be living about 20 km outside of Kampala. So, we'll keep an eye on the situation, but it seems that this will not affect the beginning of my Peace Corps service. My heart goes out to the victims and their families. I hope that during the next 2 years, I can somehow bring a degree of hope and positive changes to help counteract such terrible events that happen not only in Uganda but around the world. The Peace Corps is aptly named, as I truly believe that intercultural, global understanding can help to make this world a more peaceful place. On April 19, I finally received an invitation to serve in the Peace Corps! And for some reason, I haven't blogged about it for over 2 months... so here it goes! 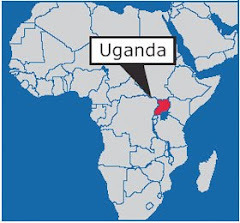 I will be leaving for Uganda on August 9th to serve as an Agricultural Extension Volunteer within the Community Health and Economic Development program! My original nomination (a tentative placement) that I received in August 2009 was for Animal Husbandry, so I'm keeping my fingers crossed that I can get involved with livestock work during my service. However, no volunteer works on solely one project; we are encouraged to take on secondary projects, which are anything your community may need and varies widely - after school clubs or programs, water system or latrine construction, building a library, HIV/AIDS education... the possibilities are endless. Uganda is a land-locked country in East Africa. It is relatively small (about the size of Oregon) and is bordered by Kenya, Tanzania, Rwanda, the Democratic Republic of the Congo, and Sudan. It shares Lake Victoria with Tanzania, and has many other smaller lakes within its borders. Uganda is bisected by the equator, but temperatures are moderated by the altitude (highs in the 70s and 80s, lows in the 60s... aka summer year-round!). Rather than hot and cold seasons, there are rainy and dry seasons (which is true in many tropical regions). In the southwest, the higher rainfall supports central African rainforest in the hilly regions bordering Rwanda and the Congo. This is home to the small population of remaining mountain gorillas, which you can visit on an expensive trek through the mountainous jungle (definitely on my to-do list!). The western border also boasts the Rwenzori Mountains, the highest mountain range in Africa (although the highest peak is Kilimanjaro in Tanzania, the world's tallest free-standing mountain). The land becomes increasingly arid as you travel north towards Sudan and the Sahara Desert. The source of the Nile is at Jinja in eastern Uganda (and offers awesome whitewater rafting which I plan to do at some point!). While Idi Amin remains Uganda's trademark to most people in the West, the country has come a long way since the 1970s, and since the cessation of most rebel activity in northern Uganda within the last few years, Uganda can be considered relatively peaceful. However, as Peace Corps Volunteers, we are not permitted to visit the northern area towards Sudan or the western border with the DRC due to the turmoil in these areas. I would love to be in the southwest, surrounded by mountains - but would of course be happy to serve anywhere; all the photos I've seen of Uganda are gorgeous! When I first arrive in Uganda, I will be in training through mid-October with all of the other new Peace Corps Trainees, during which time we will work on language, cultural, and technical skills. Luganda is the most widely-spoken local language, but I could be learning a different language depending on which region I will serve in (Uganda has about 40 languages currently in use, although English and Swahili are the official languages). I will be living with a host family during training. At the end of training, we will swear in as Peace Corps Volunteers (PCVs) and will then proceed to our individual posts, where we will volunteer for 2 years. There, I will have my own housing (whether my own separate house or an apartment within another compound). Less than 6 weeks to go! I'm making a packing list, sorting out finances and paperwork, and trying to also mentally prepare myself for this journey. More posts to come soon!